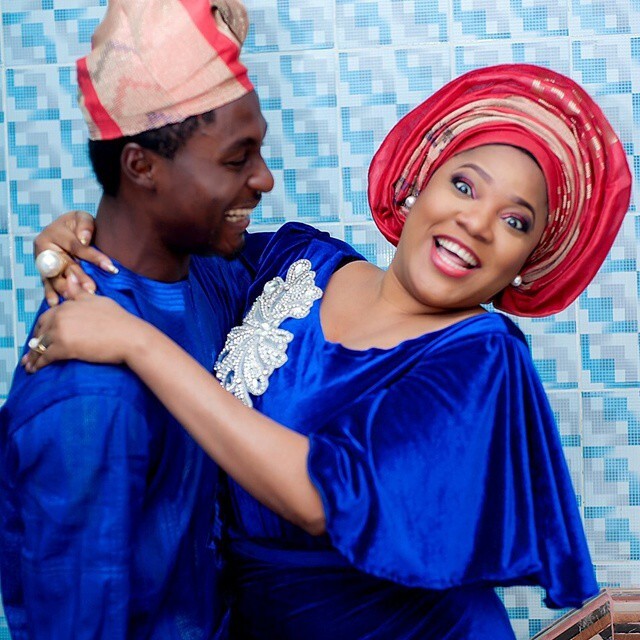 Toyin Abraham and Ex Husband Adeniyi Johnson trade words on social media over divorce proceedings.. These two were once in love and the standard of couplegoals for their fans when the going was good..
We are sure when they signed the dotted lines a few years ago,they dint quite think it would cause them so much pain in the future.. They have been seperated for a while but it seems the divorce proceedings have been insurmountable! 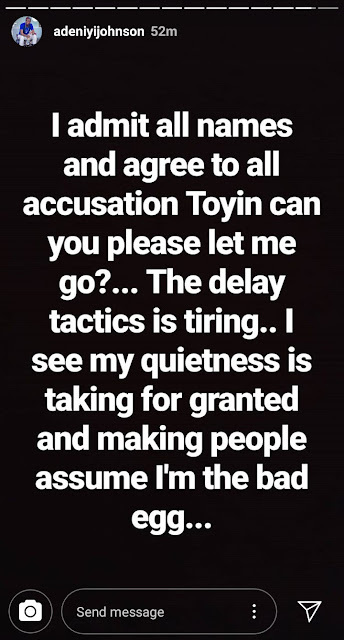 There has been a back and forth situation with Adeniyi starting things off by ranting on social media. 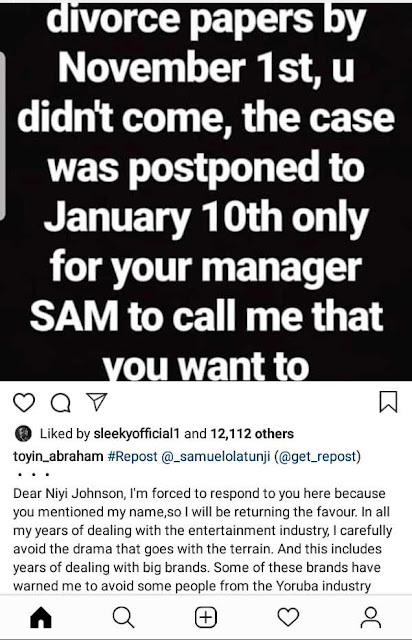 Toyin however did not reply herself,she sought the help of her manager and publicist,Sam Olatunji to send him a worthy reply..And did he go in! "Dear Niyi Johnson, I’m forced to respond to you here because you mentioned my name, so I will be returning the favour. In all my years of dealing with the entertainment industry, I carefully avoid the drama that goes with the terrain. And this includes years of dealing with big brands. Some of these brands have warned me to avoid some people from the Yoruba industry because of the attendant, unnecessary drama and here you are proving them right and giving the noble Yoruba industry bad name. 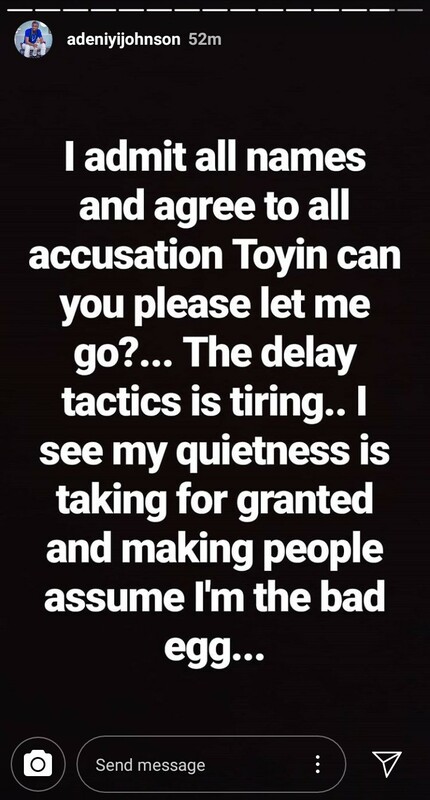 You have my number, you have the number of the lawyer, and I believe you have Toyin’s number as well. 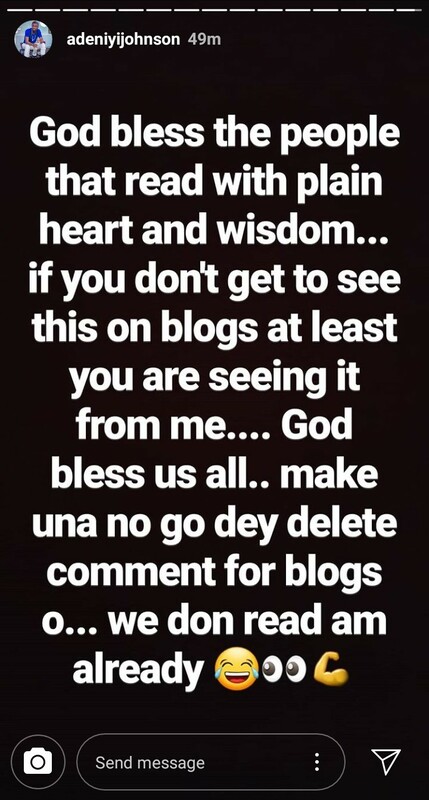 This unnecessary call for attention and social media shenanigans are unnecessary. You see why people don’t dignify your ilk with phone calls, sms or courtesy, it always end on social media. People are doing great things in real life not Instagram drama. 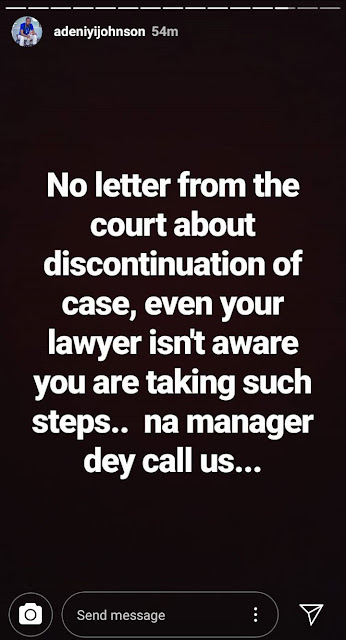 Two, a simple call to your lawyer would tell you that what Lawyer Bosun called you for is the beginning of trial (court proceedings) not to come and sign divorce papers. 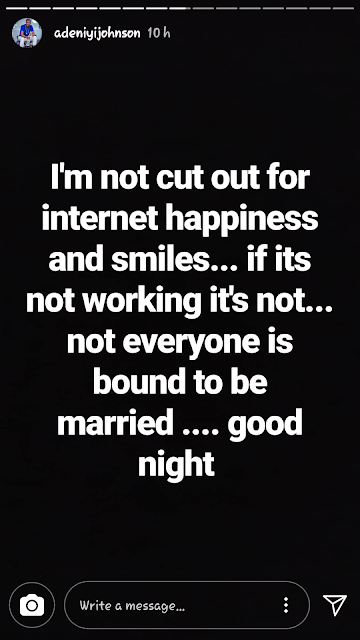 Divorce doesn’t work like that. 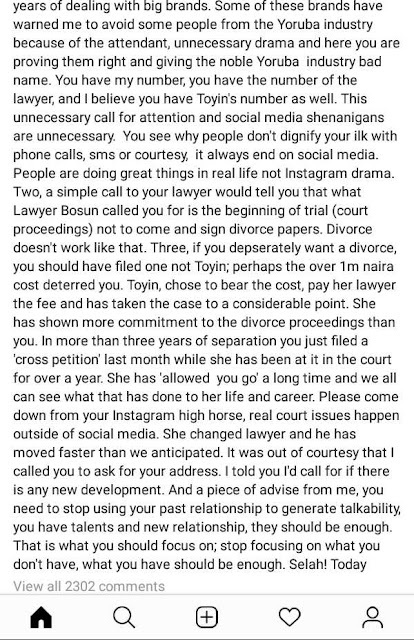 Three, if you desperately want a divorce, you should have filed one not Toyin; perhaps the over 1m Naira cost deterred you. 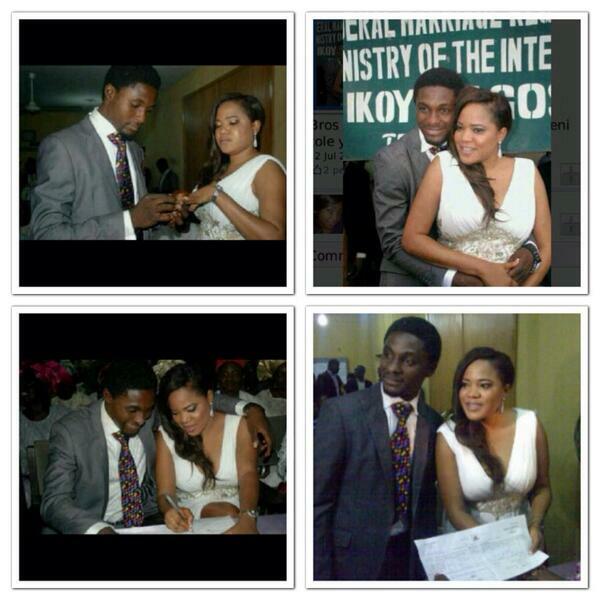 Toyin, chose to bear the cost, pay her lawyer the fee and has taken the case to a considerable point. She has shown more commitment to the divorce proceedings than you. 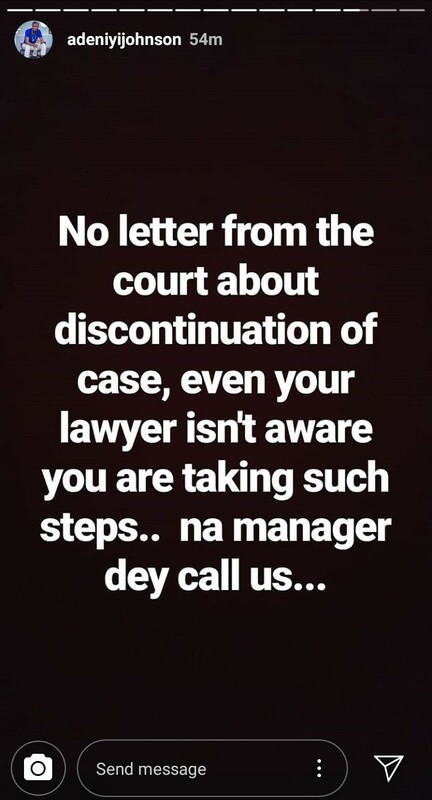 In more than three years of separation you just filed a “cross petition” last month while she has been at it in the court for over a year. 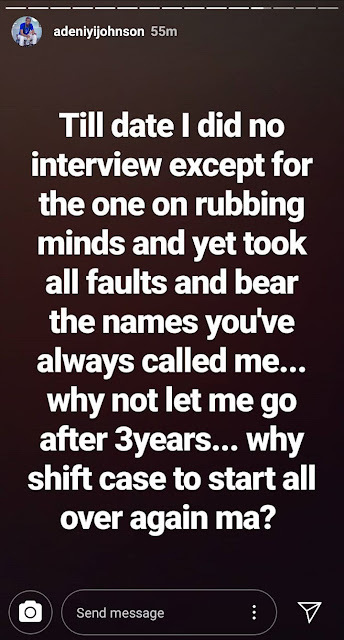 She has “allowed you go” a long time and we all can see what that has done to her life and career. 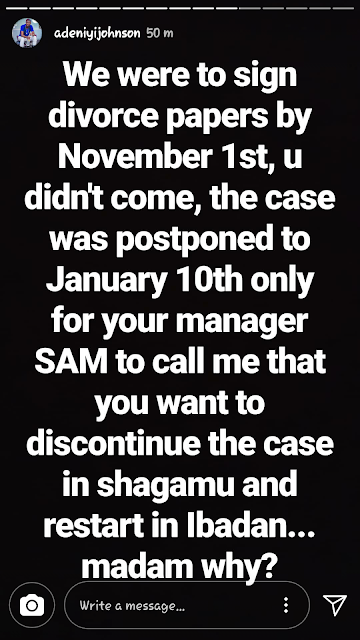 Please come down from your Instagram high horse, real court issues happen outside of social media. She changed lawyer and he has moved faster than we anticipated. It was out of courtesy that I called you to ask for your address. I told you I’d call for if there is any new development. 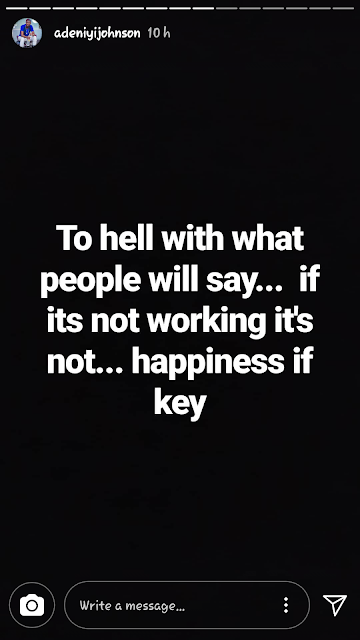 And a piece of advise from me, you need to stop using your past relationship to generate talkability, you have talents and new relationship, they should be enough. That is what you should focus on; stop focusing on what you don’t have, what you have should be enough. Selah! Waoohh waohhh..